Bread, the life giving staple of humanity! 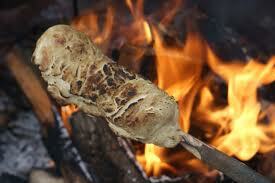 Bread is often referred to as the life giving staple of humanity. Every culture on earth has its own version and they feed it to prisoner’s right? Well, OK, maybe that last part is just folklore, but let’s face it, there simply is no better way to enjoy all that peanut butter and homemade jam you have stored up in the pantry. The problem is…how can you make bread during or just after a disaster? The stores are closed, the power is out, and the stove doesn’t work! Well, there are a few ways you can turn your stored up flour into golden loaves. This week we’ll talk about different ways t make bread with or without yeast. 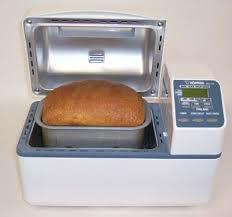 I’ll discuss ways to use a simple bread machine and which setting work best. If you simply can’t generate power for a bread machine, don’t worry, there are plenty of ways to get your daily loaf such as sourdough. I’ll tell you how to capture wild yeast in a simple mixture of flour and water, but if that doesn’t work out for you, I have a cheat tip to help it along. Sometimes yeast, either wild or store bought just isn’t an option, so I’ll also talk about some flat breads. There are many types such as tortillas and pita, but I’m going to talk mostly about some ways to prepare bannock, simple bread that can be made over a campfire with an easy flour and water mix wrapped up on a green stick. Related products on Bread & Making Go Here! Listen to this broadcast on Bread, the life giving staple of humanity in player below! Previous: Previous post: Fishing, Pythagoras, and Tesla!